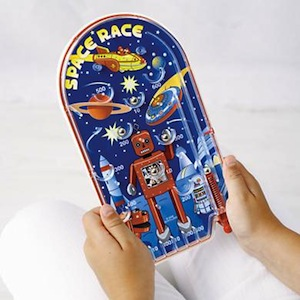 Enjoy hours of old-fashioned fun with this classic portable Space Race Pinball Game from Schylling. No batteries required! Recommended for ages 3 and up.